Confidence EQ® is an equine appeasing pheromone gel that has been clinically proven to reduce stress in horses facing new and challenging environments. Pheromones are chemical signals exchanged between members of the same animal species. They are a form of communication that trigger various behaviors, such as alarm, reproduction, territory marking and mother-baby bonding. They are not odors or hormones, so they do not affect cell function. Provides reassurance and emotional stabilization. Signifies a safe and secure environment. 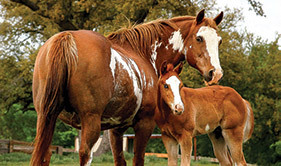 By replicating the soothing pheromone signal a mare sends to her nursing foal, Confidence EQ® speaks to your horse in a language they instinctually understand. Some horses may raise their upper lip after application, a reaction called the Flehman response; this natural behavior is how horses receive and interpret the pheromones, and could be the first indication that Confidence EQ® is working. 1 Effect of a synthetic equine maternal pheromone during a controlled fear-eliciting situation. C. Falwee et al, Applied Animal Behaviour Science, 101 (2006). 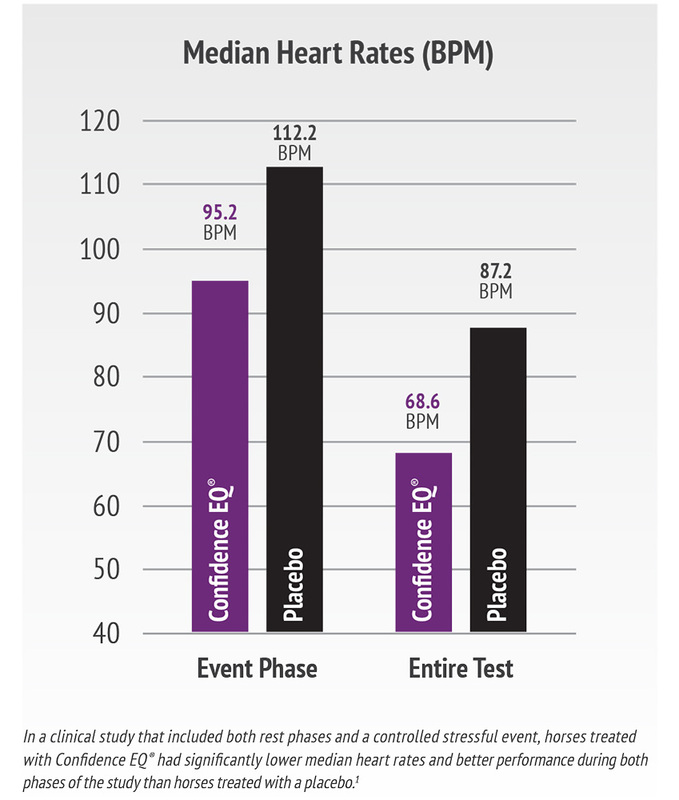 HOW DOES CONFIDENCE EQ® WORK? 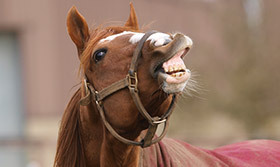 Your horse takes in pheromones through special nerve bundles in their nose. These signals are immediately sent to the brain where they are interpreted. 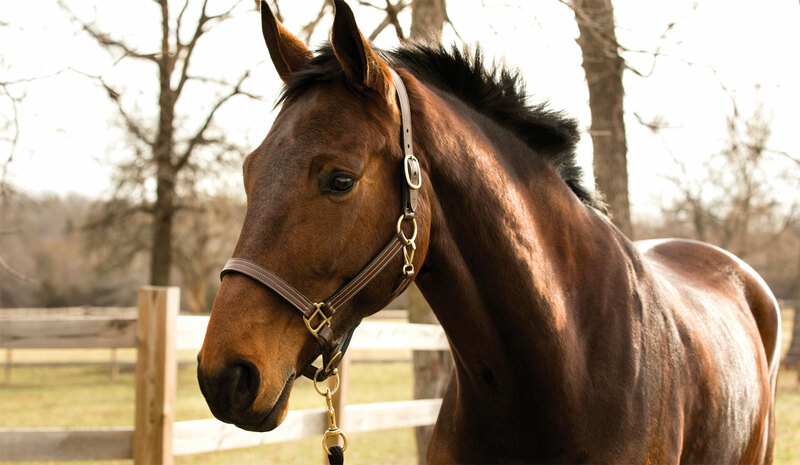 Your horse instinctually understands the biological signals, increasing its focus and ability to learn. 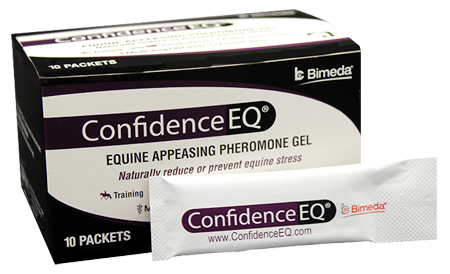 Confidence EQ® pheromone gel can help reduce the behavioral and physiological symptoms of stress in horses of any age. Training tool – Can be combined with behavioral and desensitization therapy. Safe for competition – Not listed on the FEI prohibited substance list. Fast & long-lasting – Takes effect in 30 minutes, lasts 2.5 hours, and can be reapplied as needed. Single-use packets – Ensure accurate dose every time. Easy to administer – No syringes, mixing food, pills or other uncomfortable application methods that can add stress to the horse. Horses in these situations may show signs of stress such as pawing, vocalizing, flared nostrils, kicking, lack of concentration, and resistance. 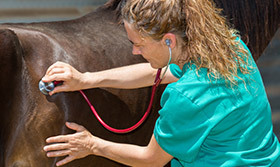 These behavioral changes are due to an elevated cortisol level, which when prolonged, also triggers multiple physiological responses like increased heart rate and blood pressure, weakening of the immune system, cribbing, and digestive issues—all of which can develop into significant problems for owners, trainers and veterinary practitioners. Instilling confidence with Confidence EQ® pheromone is a proven way to help horses deal with new or unexpected stimuli. ConfidenceEQ is easy and quick to apply. There are no syringes, mixing food, pills or other uncomfortable application methods that can be difficult to administer or add stress to your horse. Takes effect in 30 minutes, lasts 2.5 hours, and can be reapplied as needed. Apply 30 minutes before stressful situation. Apply at the base of the nostrils. 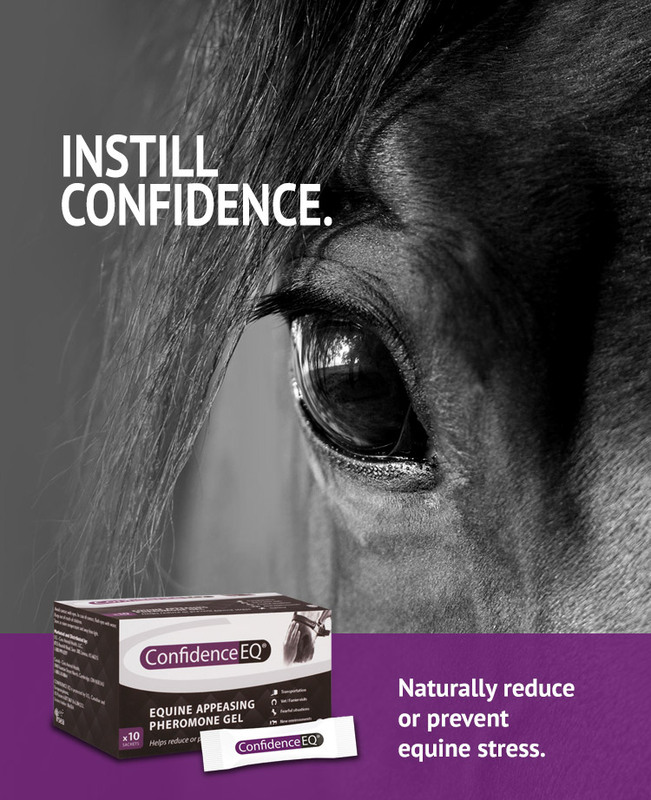 ConfidenceEQ® helps my horses perform their very best. Whether we are at home training, or representing team USA, I proudly use ConfidenceEQ® in all phases of competition.